Baseball has countless female fans, but it’s rarely had female commentators. Sure, there are some sprinkled through – Suzyn Waldman, for instance, has been a color commentator for Yankees radio since 2005. 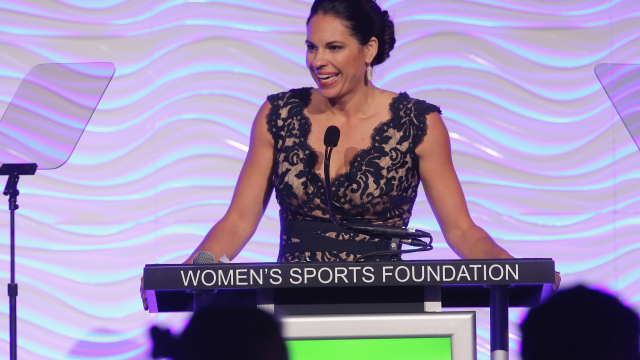 But even in the 21st century, where female sports fans are a large marketing demographic, Jessica Mendoza became the first women to provide widespread commentary for ESPN’s MLB coverage in 2015 – a position she now holds full-time with the Sunday Night Baseball team. Mendoza is also a Olympic Gold and Silver Medalist. This – having a woman analyzing sports – shouldn’t be novel. She shouldn’t have to be some trendy interview subject who she is asked what it’s like to be mansplained to death or threatened for following her passions. As much as I love writing these think pieces, I shouldn’t have to. I want nothing more than for my favorite sport, and one of my favorite things about American culture, to move away from the 1950s mentality. But women don’t need to be told the garbage Mendoza deals with is nothing new. You don’t need to hear that women are mistreated in sports. You don’t need me, as a man, to say something needs to change. You know all these things already. What does need to happen is for Jessica Mendoza’s words to become truth. What we need is for the world to progress.We need to be uncomfortable, we need to be challenged and we need to be shown new ways of doing things. Otherwise American baseball culture will go down in history as one where women are told to shut up and go away.